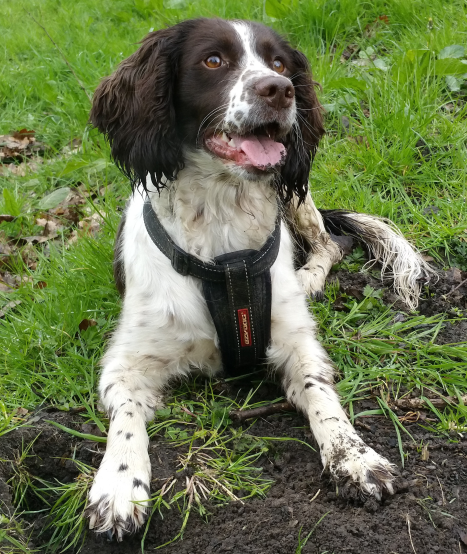 When we rescued Pippa, the springiest of springers, we noticed she shook her head quite often and was scratching her ears which had quite a distinctive musty/yeasty smell. The vet diagnosed an infection and issued us with the standard Canaural treatment. She also suggested taking some of the hair off her ears to reduce the weight and to encourage air circulation (more on that another time). 1 – You cannot clean your way out of an infection. If infection is present, you need specific treatment like Canaural to stop it. Left untreated, infections can cause all sorts of issues. Cleaning is a preventative measure only. 2 – We’re not vets, just a family with dogs that are trying things out. Please seek professional advice if you are in any doubt at all about your dog’s symptoms. Pippa looks on with horror at Canaural, the standard treatment for ear infections. What Does the Cleanser Claim to Do? Price – at £26.85 (£11.84/100 g) + £4.12 delivery on Amazon, this is not a cheap option for regular use. However, it’s made in Canada for an American company so it may not be as pricey for those of you outside the UK and if we’d researched a bit more we may have found it at a better price. Application – Since using this, when we say ‘ears’ Pippa runs to a corner and puts her paws over her ears – seriously, this really happens! She hates the liquid going in but finds the swabbing out with cotton wool fairly satisfying. If your dog is like Pippa, you need a deft hand and some high-value treats if you don’t want your dog to hate you for half an hour after application. The big problem with this is it puts you off cleaning as often as you should and that’s really essential to get a good result. Results – The musty smell was gone and you could see the results on the cotton wool. So far for us at least, regular application has prevented more infections. 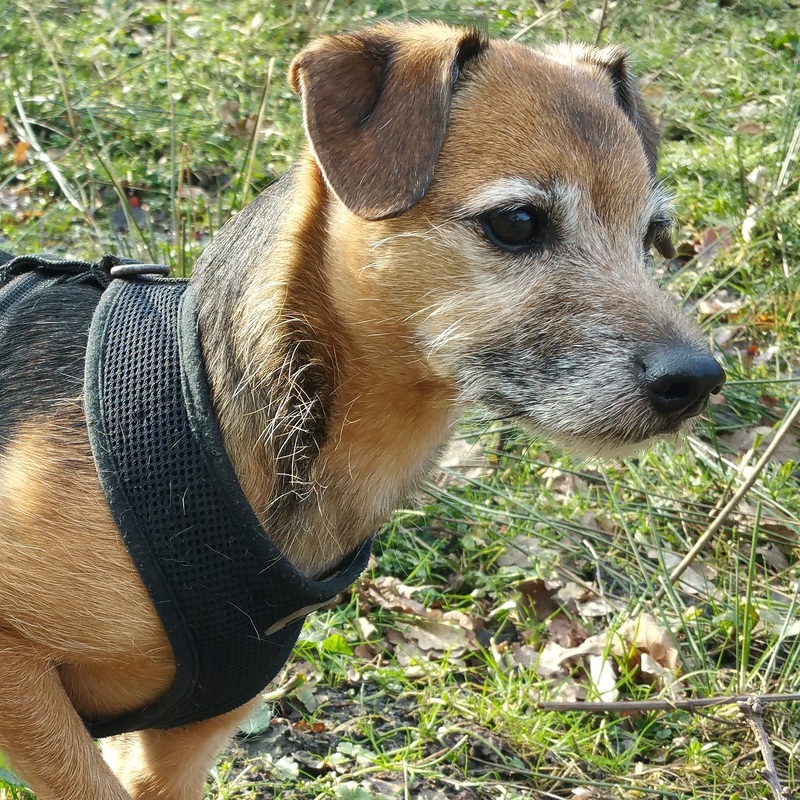 Application (again) – Although a pain to do with Pippa, it was quick and easy with terrier Bessie. The ears seemed to dry quickly and after the initial shock of application, there was no ear scratching and head shaking, it was just the weird sensation of liquid in the ear that caused a problem. 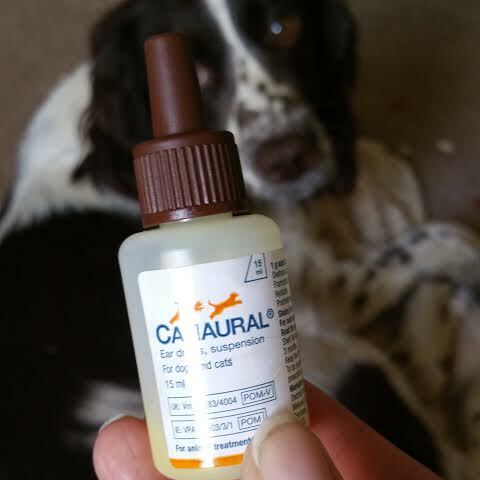 Habit forming – Regular application encourages you to check your dog’s ears carefully. On more than one occasion this yielded surprises such as bits of thorn that would otherwise have made their way into the ear or got mushed into the ear hair. It’s good practice with any dog to check them regularly for hidden nasties. Overall score: 8/10 – in conjunction with trimming the ear hair this has worked but it’s expensive and with Pippa, it’s a battle to apply. If you have any questions please leave a comment. If you know of any alternative cleaning products we’d really love to hear your suggestions. We’re not sponsored to feature any product, this was purchased with our own hard-earned cash so this review is a true representation of our experience. Welcome to the Rescue Pooch world! 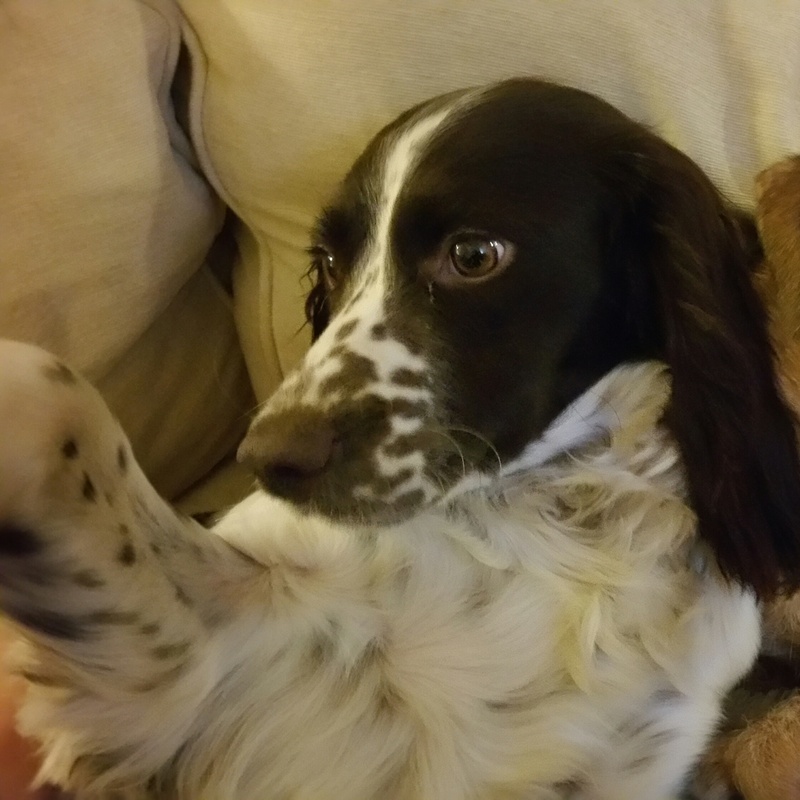 Who are the Two Rescue Pooches? A Border Terrier/Parsons Jack Russell cross. 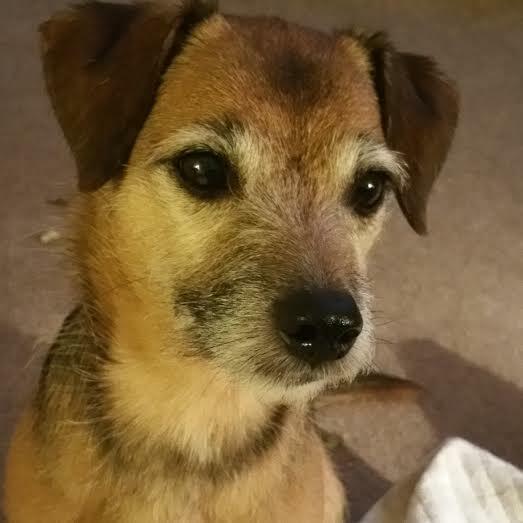 She is 10yrs old in March 2015 but is still full of terrier mischief! She found her forever home with us in November 2011. She’s progressed from a nervous dog with no interest in small furries, to a proper terrier with a very keen eye for a squirrel. An English Springer Spaniel (ESS). Pippa is approx 2yrs old but we’re not sure exactly. She was rescued in December 2014 and at three kilo’s underweight she was quite a sorry sight. She’s now reached her target weight, has some gloss in her coat and a serious spring in her step! We’ve tried and tested all sorts of food and toys (can anything survive a spaniel and a terrier? ); we’ve got ideas on where to walk, what harness to use and plenty of other things so we thought we’d share some of our findings with you.